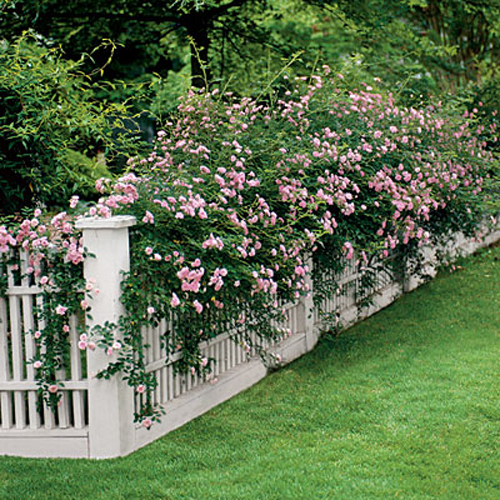 The Pink Pagoda: Do You Have Climbing Roses? 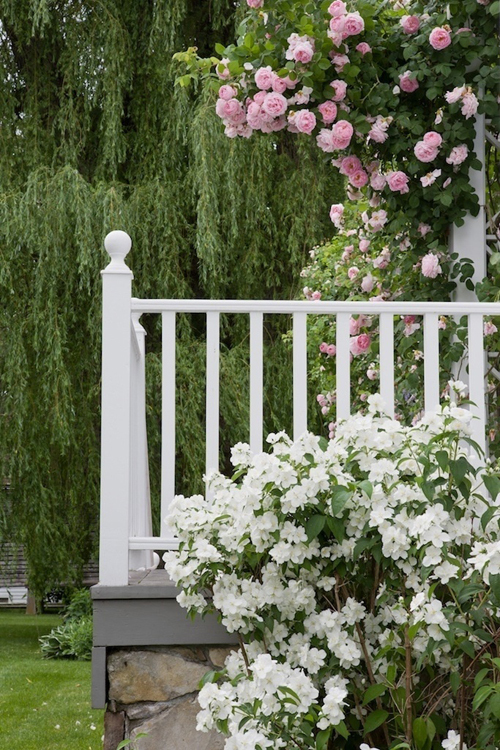 Do You Have Climbing Roses? 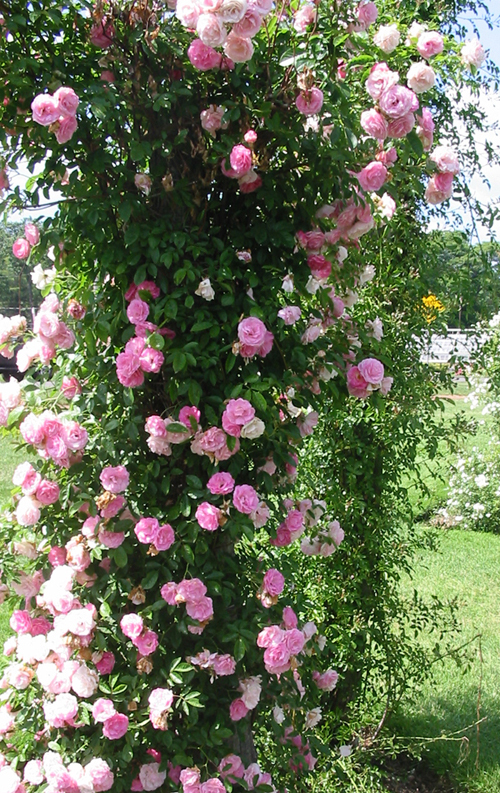 Last spring I had about 20 Pinkies (climbing roses) planted along a fence in our yard. They grew a little last summer, but they're really taking off now and I'm loving watching them grow and bloom. 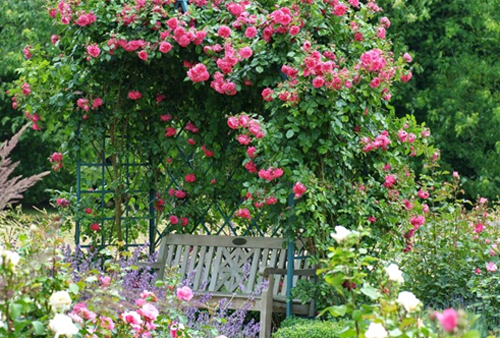 I was doing some research on rose care yesterday and had the idea to ask you for tips. 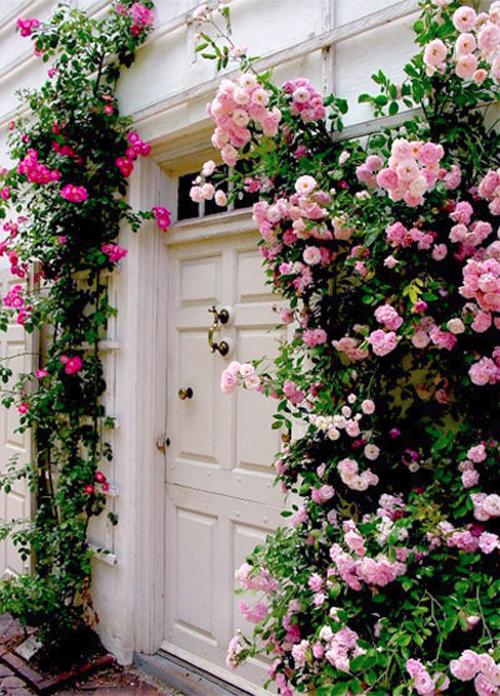 Have you had much experience with roses? Specifically climbers? 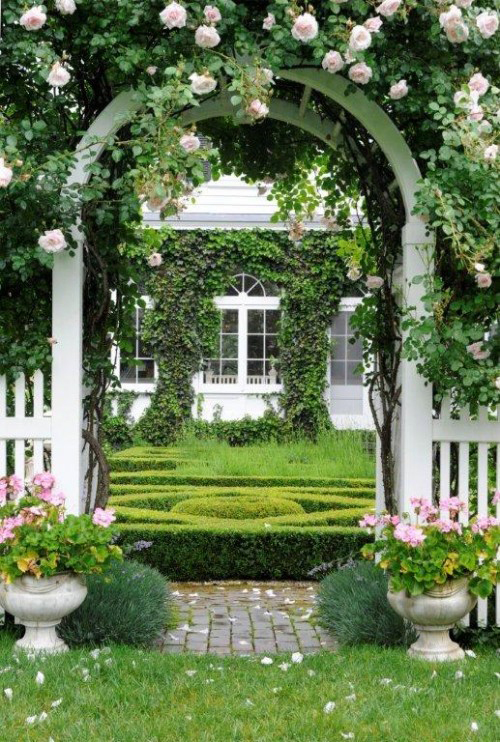 The Pinkie is an antique rose variety and is supposed to be extremely hardy. Because it's virtually thornless, it's easier to train. If you're interested in climbers, here's an interesting Washington Post article with lots of information. So, does anyone have any tips for me? Apparently it will be another year or two to have the display I'm awaiting, but, until then, I want to help it along as best I can.